The property of Chennai is on a boom right now. Every person is collecting advantages, benefits and profits from it whether it is the buyer, investor or the developer. 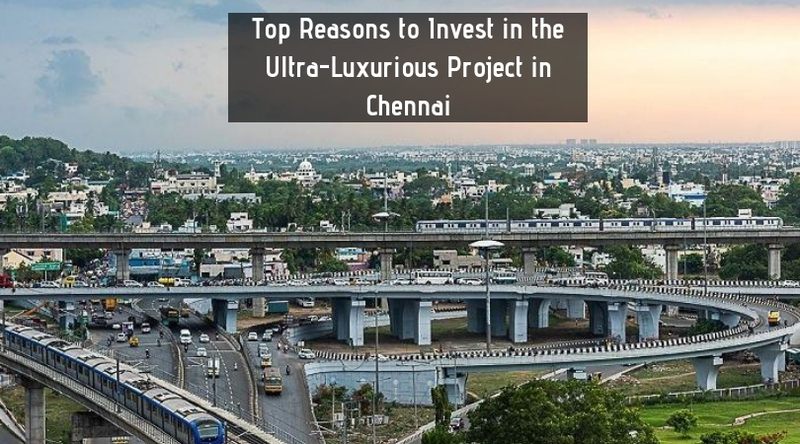 There are so many achievements which Chennai city has enjoying with these days and these are indirectly providing growth and prosperity to the real estate market of Chennai. Buying a home or investing in the residential properties in this prosperous city can offer you with quality in reasonable prices or with great returns in the long run. For best quality residential projects in outstanding prices, you should need to select Padur region. This region has been constantly showing tremendous growth and development over the past few years. The infrastructural facilities around this region are very advanced and developed and hence, residents here can avail the best modern resources and facilities. The level of education in Padur is very high and it constitutes so many prestigious and renowned schools, coaching centres, colleges and universities which are providing quality education. Apart from that, for all type of medical emergencies and 24X7 assistance, there are some top quality hospitals here and for entertainment, shopping and recreational facilities, there are shopping malls, cinema halls, restaurants, supermarkets etc. in this developed locality. It is well-connected to the leading MNCs and other important commercial hubs. The region has a presence of several supreme quality residential complexes which are offering premium modern apartments equipped with different types of luxuries, specifications and amenities. Buyers looking for best-designed smart homes can please visit to the gorgeous, Godrej Azure. 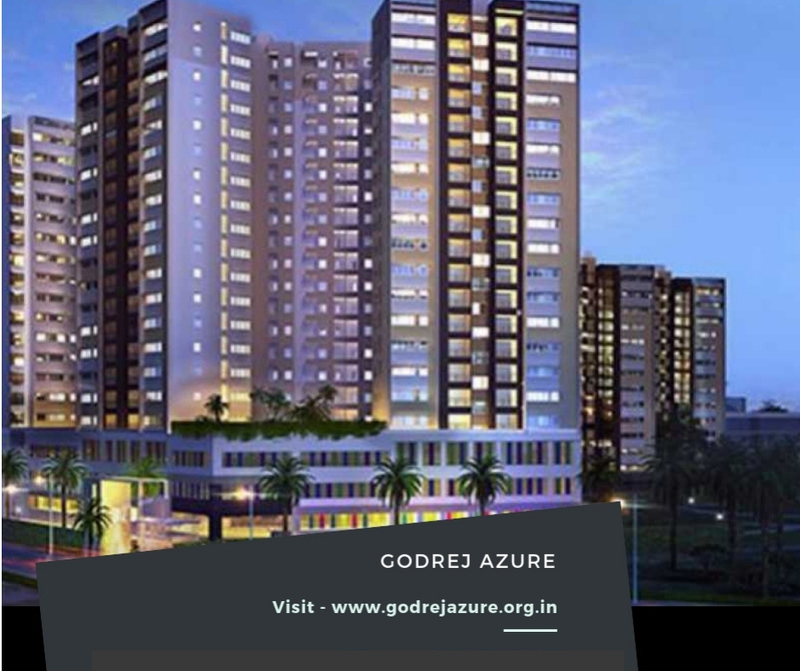 This superb presentation from the Godrej properties is completely luxurious and has all the modern features and resources required for a comfortable and sophisticated lifestyle. The township is offering excellently designed 2 and 3 BHK premium apartments equipped with top-notch specifications. These are well-ventilated Vaastu homes with unit areas varying from 621 sq. ft. to 1916 sq. ft. 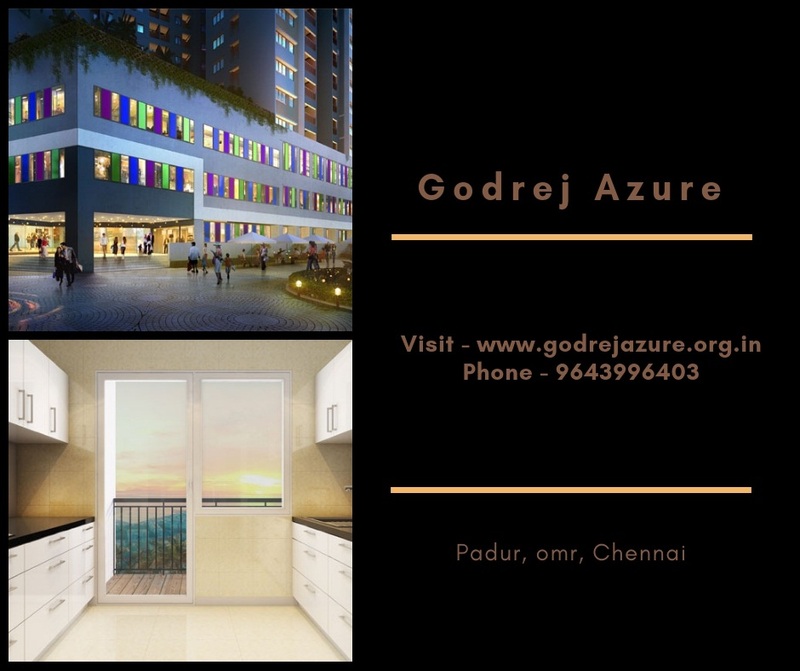 Buyers can also select these astonishing homes in Godrej Azure Chennai due to the presence of magnificent modern amenities which include intercom facility, swimming pool, multipurpose hall, clubhouse, gym, open space, car parking, kids’ play area, landscaped garden etc. Bring a major change and uplift your lifestyle by choosing here the apartments. The price ranges start from INR 31 lakhs to INR 72 lakhs. The project is conveniently located in close proximity to the important IT hubs and major sources of transportation. Travelling experience from here to the major landmarks in the city is quite smooth and rapid.